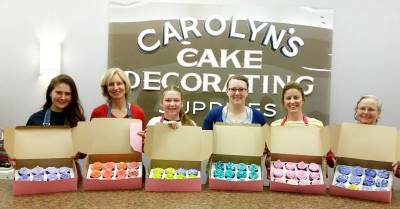 Crash Course in Cake Decorating! This is a 5 hour class. 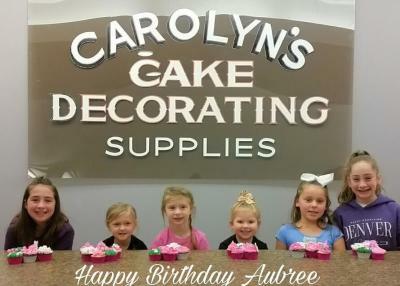 We supply the cake and frosting, some supplies are inlcuded, lunch is also provided. Learn how to tort, fill, flat ice, border and finish off with leaves and roses. This class is so much fun, you will be surprised how much you can learn in such a short time! Tuition $95 Supplies included: Tips, bags, couplers, flower nail, flower lifter and spatula. 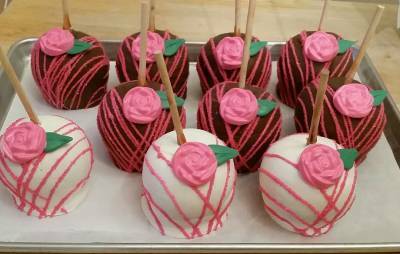 Have you ever wanted to make that perfect cake pop? This is the class for you! 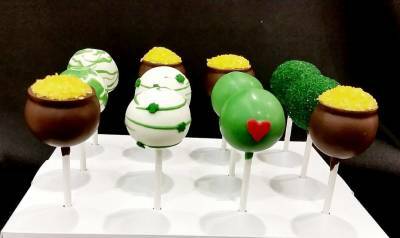 In this 3 hour class you will learn how to mix the dough, shape, dip and decorate 12 cake pops. Tuition $65 Supplies included: silicone cup and scoop. Cupcakes are so much fun. 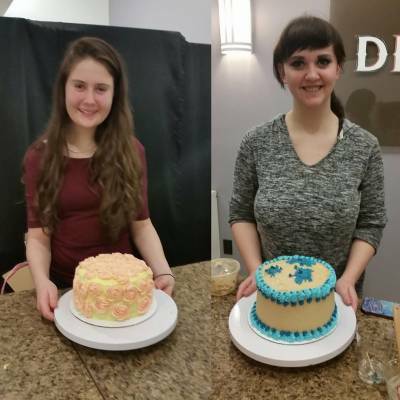 Come to this 3 hour class and learn to use different techniques and tips to make beautiful cupcakes. You will also learn how to use Russian Tips! Tuition $65 Tips included. Fondant is so easy to work with. In this 5 hour class you will learn to cover a dummy cake, make a pearl border, beautiful roses and leaves. Luster dusts are used to color your roses. Lunch is included. Tuition $95 Supplies included: Small rolling pin, foam pad and metal ball tool. 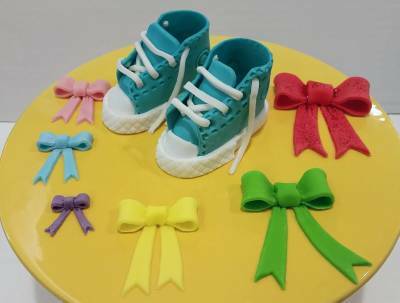 Gum Paste is an amazing product. 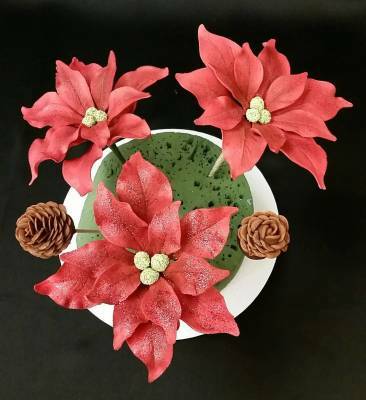 In this class you will learn to make life like flowers that are edible. This is a 5 hour class, cutters are included. Lunch is provided. Tuition $95 Supplies included: Cutters and metal ball tool. Birthday party? Girls Night Out? We do private parties. 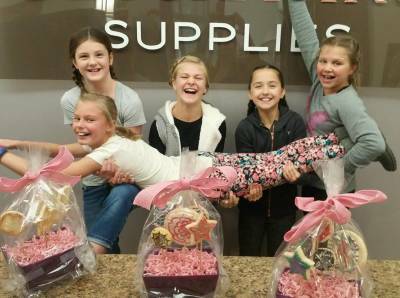 Cookie Bouquet, cupcakes or cake decorating! 6 student minimum. Sugarprism Edible Paint is here! This is a great new product. It can be used on different mediums. 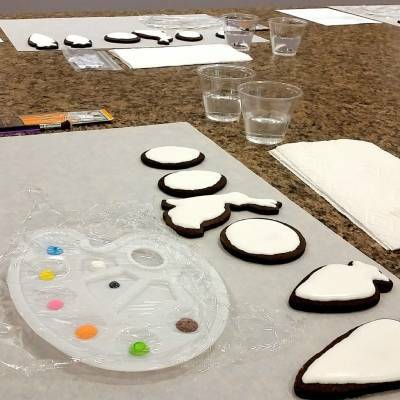 In this class you will have royal icing cookies ready for you to paint. This paint can be used as a water color or for fine details. This is a 3 hour class, for beginners and advanced students. Tuition $70 Supplies included: paint brushes.